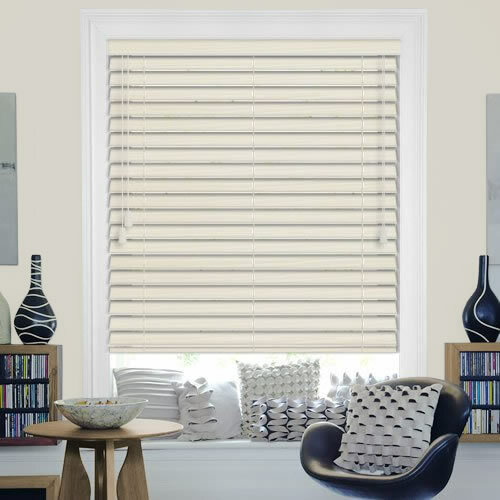 Bring a soft and sumptuous look to your home with these high quality 50mm rich cream faux wood blinds. Their natural grainy texture gives them an authentic wood look along with a real depth and tactile quality. 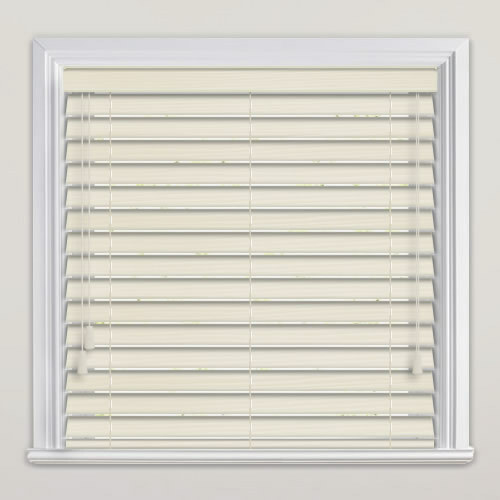 The PVC slats are super easy to clean, simply wipe them with a damp cloth and being 100% waterproof they are great for bathrooms and kitchens. Speedy delivery and excellent value for money - very happy with my purchase. Would happily recommend. 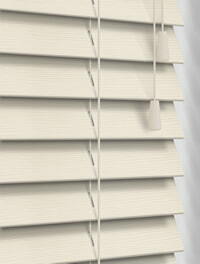 I was recommended to Englishblinds by a friend who had previously used them. I found them on the internet and intended to use their online ordered service but as I lived close to their premises went to the site to look at the samples We ordered there and then as the staff were very helpful and could supply exactly what I required. Excellent service all the way from ordering to delivery. Great range, great service arrived quickly thanks. As always they were excellent. 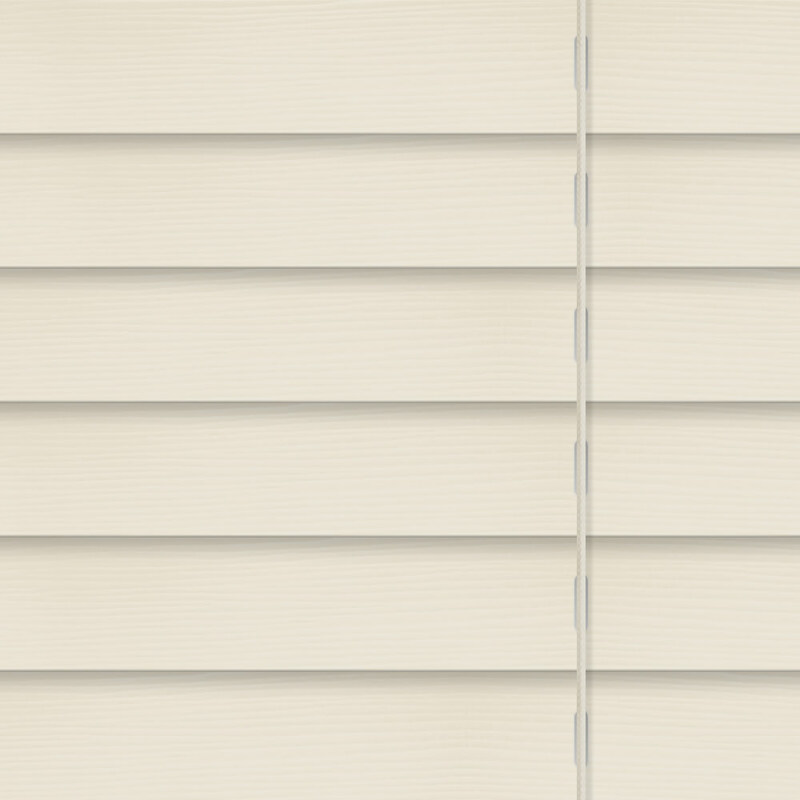 This is the second batch of blinds I have ordered from them. The first time I made an error which they happily and quickly rectified. 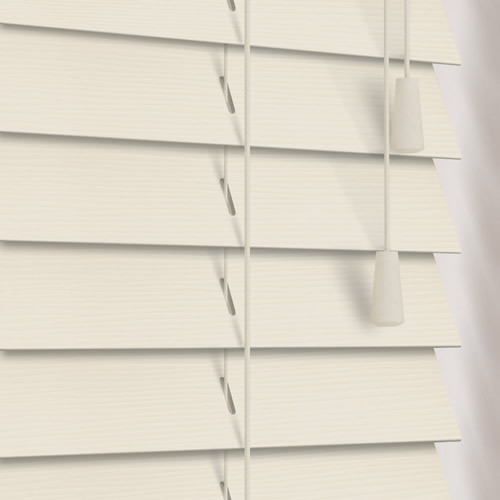 Great blinds and great customer service.